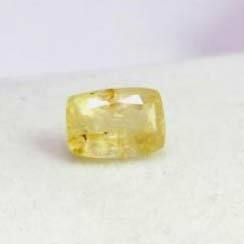 Based in Delhi, India the Yellow Sapphire Gemstone that we offer have made us a distinguished manufacturer, exporter and supplier. These precious stones are believed to have a number of astrological benefits to the wearer and is associated with good luck and prosperity in Vedic astrology. Our price for these stones varies depending upon their size. We ensure timely delivery of all orders.